Every summer, numerous boaters enjoy BC’s beautiful lakes, rivers, and oceans. Unfortunately, 32% of water-related fatalities in BC occur while boating, and almost 50% of these incidents involve a powerboat.1 This doesn’t mean that boaters should stop doing what they love – rather, we encourage boaters to be mindful of the risks and take the necessary steps to stay safe on the water. 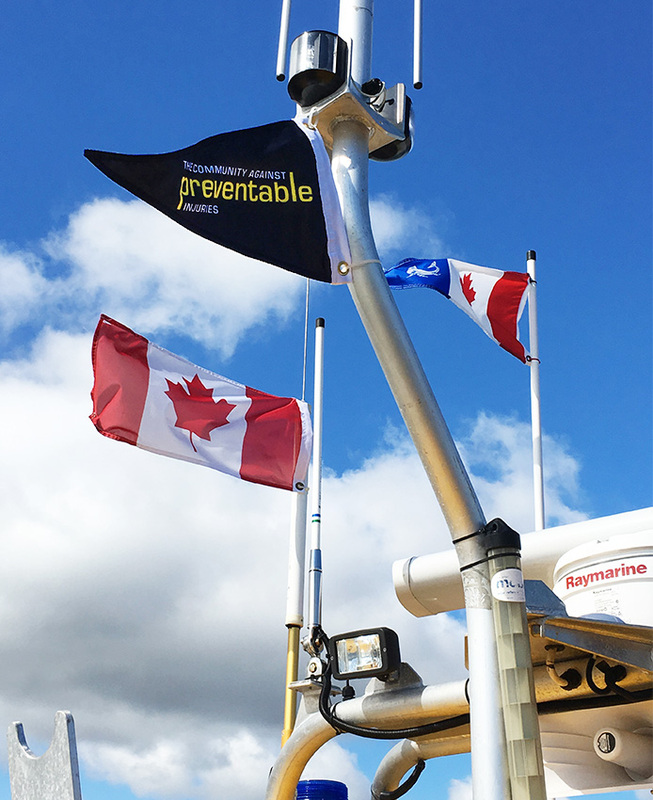 Preventable is partnering on a safe boating campaign with Transport Canada, the BC Injury Research and Prevention Unit and the Royal Canadian Marine Search and Rescue (RCMSAR). The goal is to significantly reduce the number of serious preventable injuries – including drowning – by challenging the notion that injuries just “happen” but they “won’t happen to me”. Have the right equipment2: Make sure it is in good working condition and accessible, and know how to use it. RCMSAR is a volunteer based organization that operates 33 marine rescue stations on the British Columbia coast and in the BC Interior. Volunteers conduct, on average, 800 marine rescues every year, approximately 1/3 of all marine emergencies.